Peach pie for breakfast? Why not! 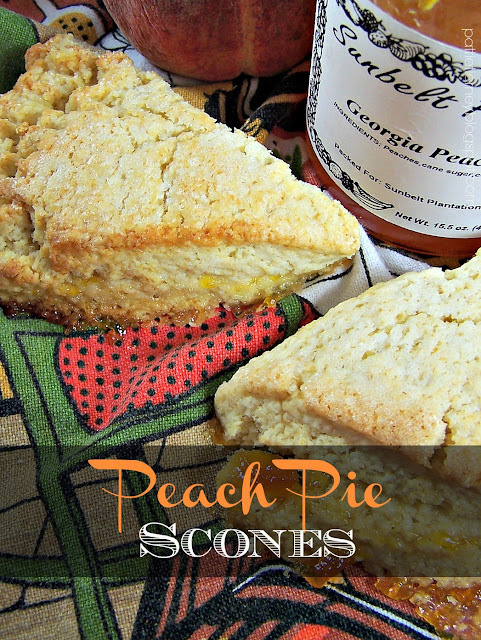 Particularly when it's in the form of Peach Pie Scones. 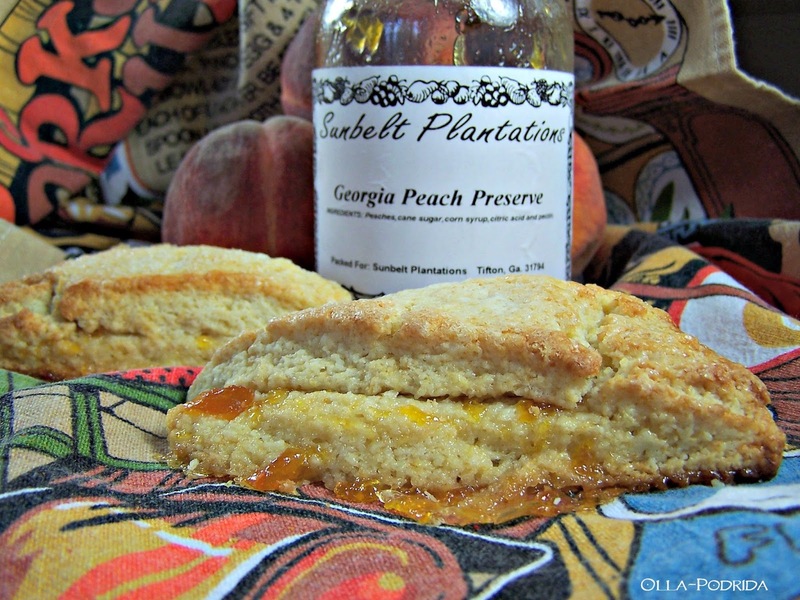 A friend recently gave me a jar of delicious, authentic Georgia peach preserves. I had been doling it out, bit by bit, in order to stretch its usage for as long as possible, when the idea came to me that it would be marvelous not just spread on top of a scone, but actually baked into one. I gave it a try this morning, and the results were fantastic! I'm sure this would work with any type of preserve that you have on hand, be it your own homemade, or one from the grocery store, so you have to try this. 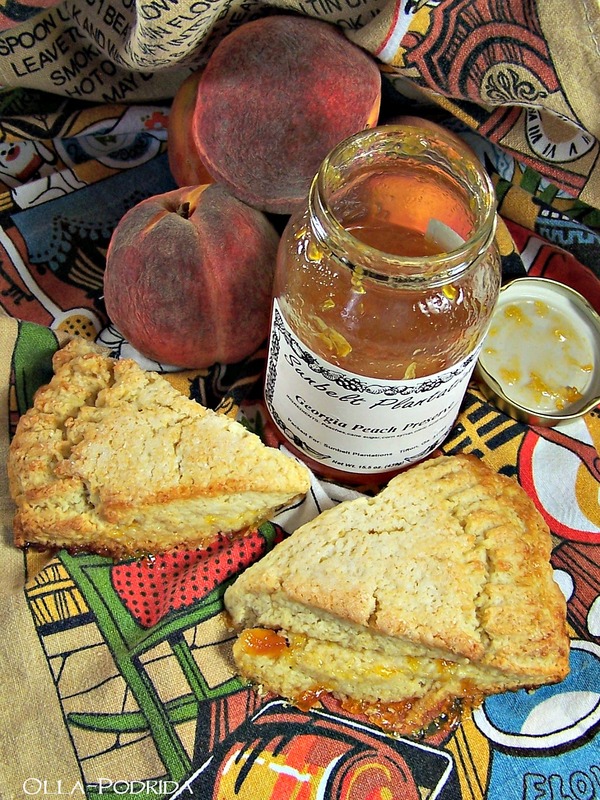 Peach is a wonderful variety to try for summer, but consider fall, and perhaps a nice berry filling, or even cranberry! There's no limit to what you can do with this recipe. 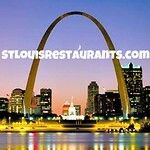 Place flour, sugar, baking powder, baking soda, salt, and unsalted butter into the work bowl of a food processor. Pulse repeatedly until dough forms. Turn dough out onto a lightly floured cutting board. Divide into two equal portions. Pat each into an 8-inch round. Spread jam on one of the rounds to within an inch of the edge. Beat egg with 1 teaspoon of water until frothy. Brush egg wash around edge of jam-covered circle. Top with the remaining circle. Press down on edges with the tines of a fork. Brush top with heavy cream, and sprinkle with sanding sugar, if desired. Score dough into wedges to make cutting upon removal from oven easier. Bake for 22 to 25 minutes, until edges are lightly browned. Remove from oven and transfer to wire racks to cool. Cut and serve. Yum Pattie! Your photos and description are making my mouth water. I wish you'd been around in 2008-2010 when I was baking for a coffee shop in Edmond, OK. 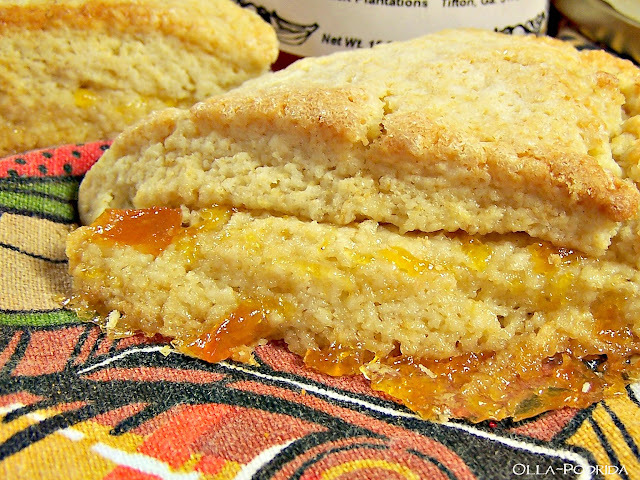 I made a variety of scones and made them some "peach pie" scones one week, using diced fresh peaches. They were good fresh but got soggy pretty quickly. Preserves would have made them work! Again, right smack dab in my Mom's wheelhouse. Forwarding to her! 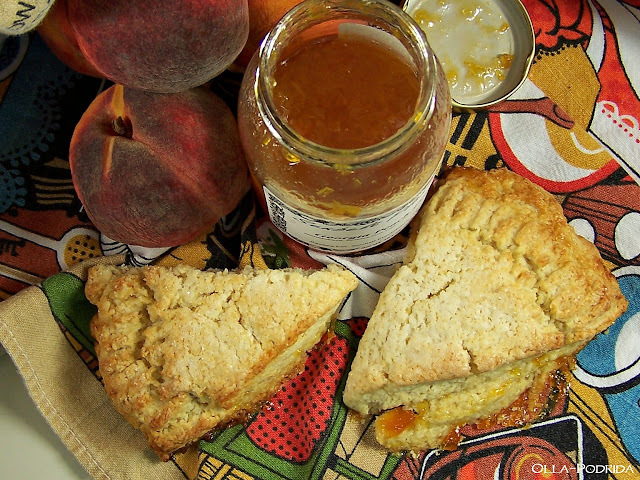 We are going to love your Peach Pie Scones! 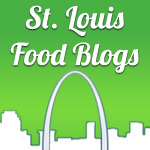 Hope you have a fantastic weekend and thanks so much for sharing your awesome post with us here at Full Plate Thursday. We hope to see you again real soon. Loving the (Chef Mepoco) Cuteness! Loving the (Bordallo Pinheiro) Cuteness!